AMDA | AMDA News - Congratulations to the AMDA Alumni on their 2014 Tony Performances! 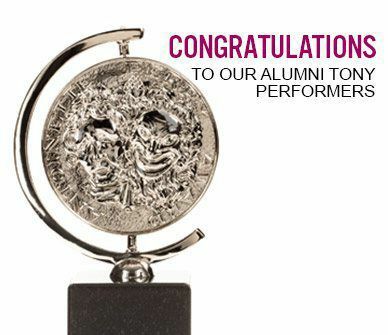 The 2014 Tony Awards featured a number of AMDA's alumni contributing to a very special evening. AMDA congratulates Amanda Kloots-Larsen (Bullets Over Broadway), Kyle Scatliffe (Les Misérables), Anastacia McCleskey (Violet), and Gabrielle Reid (Beautiful: The Carole King Musical) on their performances. We also congratulate alumna Tyne Daly on her Tony nomination for best actress in a play (Mothers and Sons). Ms. Daly won a Tony Award previously for best performance by a leading actress in a musical in Gypsy: a Musical Fable in 1989.